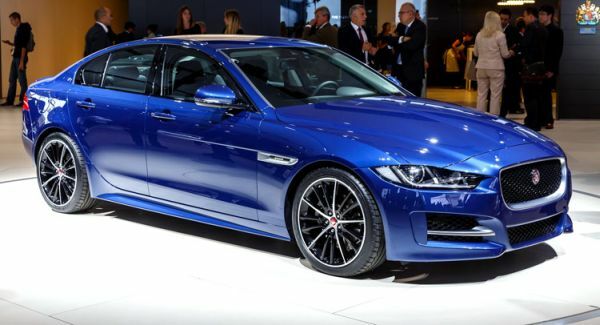 2016 Jaguar XE S is a mid-size sedan with a highly sporty design and promises very accurate handling and smooth ride. It competes with Audi A4 and BMW 3 series. As for the exterior, you will get all that you expect from a luxury sedan. Salient features include a coupe-like roofline, an elongated hood and a petite rear end. The profile lines have been kept on the delicate side but overall it has been shaped with strong lines. Jaguar badge is clearly outstanding on the wire grille with the boot lid sporting a lip spoiler to make it excellent. The company calls the body “aluminum intensive” which is not a lie because 75% of the content is aluminum that is recyclable. The dimensions of the exterior are 189.93 inches (length), 81.69 / 72.83 inches (width with mirrors / without mirrors) and 55.74 inches (height). The interior has a neat compact look and a glance at the center console will tell you how much driver-centric it is. High quality is evident due to the wood veneers and piano black and aluminum finishes. Infotainment has been secured with InControl system that sports an 8-inch touchscreen complete with navigation apps. Other features include Bluetooth, USB and Wi-Fi connectivity. This amazing model is equipped with a supercharged 3 liter V-6 engine. This direct injection unit generates 340 horsepower @ 6500 rpm and torque of 332 lb.-ft. @ 4500 rpm. The power will be transmitted through a ZF 8HP45 8-speed automatic as standard while some versions may also be fitted with 6-speed manual. Another engine is also available for those who are keen on fuel-saving. It is a 2 liter 4-cylinder engine that is direct injection turbocharged. One of the versions give around 240 horsepower while the other produces 200 horsepower. Acceleration from 0-60 mph is achieved in 4.9 seconds. It will give top speed of 155 mph. Mileage for the US road given by this sedan is not yet available. The cost will come around $45,000 as per speculations. Though the machine will be sold in 2015 itself but in North American markets, it will be visible only in 2016. Here, it will be available solely with gasoline-based engines. This luxurious and well-performing vehicle is slotted to give the German sedans a terrific competition. It is lightweight thanks to its maximum aluminum content. 2016 Jaguar XE S will not be on sale in the US until 2016.